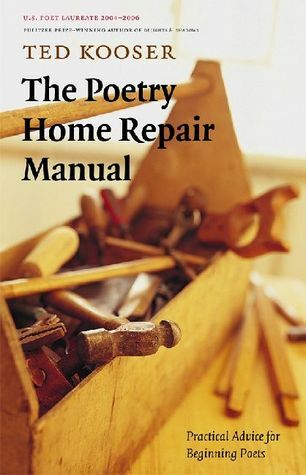 A Toolbox for Prosesmiths and Poets alike! It was a fantastic find that I want to share with you all. I dabble in poetry, but have never really sat down and made a serious study of it. Mr. Kooser does a fantastic job of describing how poems are different than prose and what makes some poems stronger than others. He uses tons of readable examples, stays conversational throughout, and the chapters are really short. Even if you poetry’s not your thing, it’s still worth a read. The chapters “Working with Details” and “Fine-Tuning Metaphors and Similes” opened my eyes to the mechanics that go into setting a scene’s atmosphere. I’ve already seen a difference in how I approach scenery and emotional details, and I think it’s making my work stronger. Reading this book is like chatting with your kindly grandpa if your kindly grandpa was also the Poet Laureate of the United States. Grab it!